If you ever have the chance to attend a Mother of All Baby Showers event, clear your calendar, grab a friend, pawn off your kids and make sure to attend. 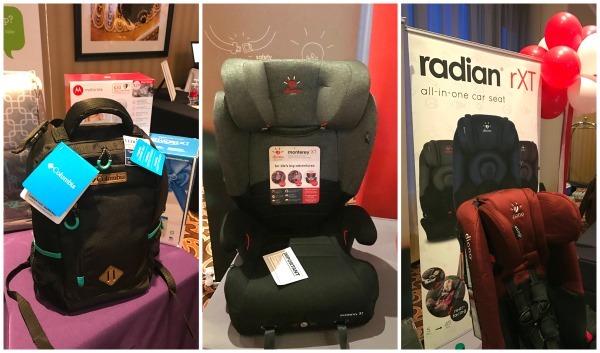 This event is loads of fun, there are tons of prizes and it is packed with the latest and best items for expectant moms, babies and families with littles. I have attended several years and always come home loaded with swag and learning after meeting with experts for new and expanding families. 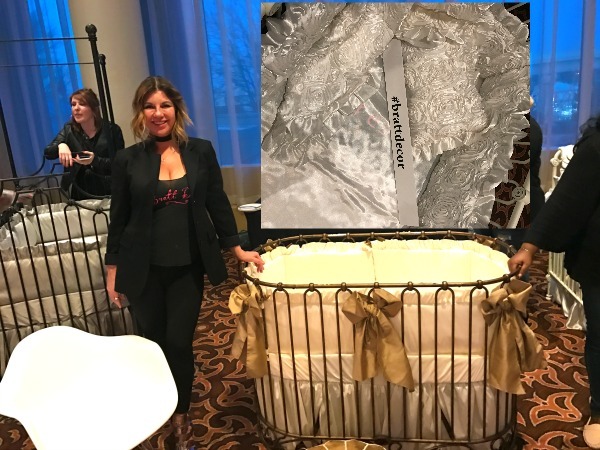 Last week’s Mother of All Baby Showers Luxe event in Tysons Corner was no exception. 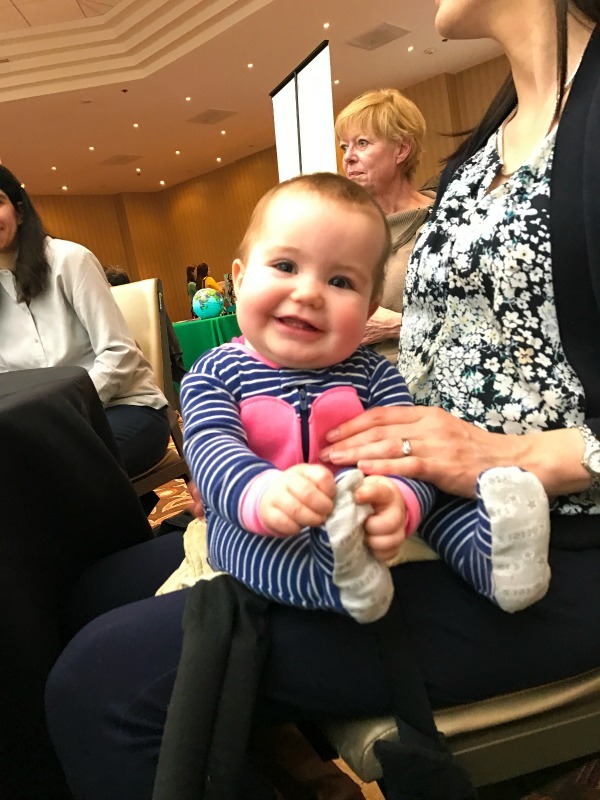 It was a parents night out connecting new and expecting parents (and parenting bloggers, too) with hand-picked pregnancy and parenting brands. I brought my sister-in-law Mary and her baby daughter Maria came along in the baby carrier (I was one excited aunt!) The highlight of the night included a keynote from Maria Bailey, host of Mom Talk Radio and co-founder of Mother Nurture and founder of Pre-Mama. Maria talked about balancing a growing career when her four children were very young, and how moms and career DO go hand in hand. 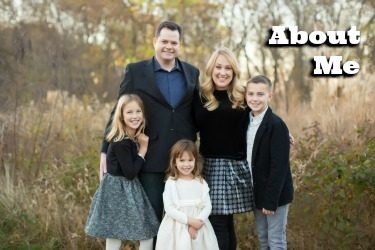 Her insights on how to make your family your priority while working towards career goals you love – whether through social media careers or creating products fellow moms can really use – were fascinating. 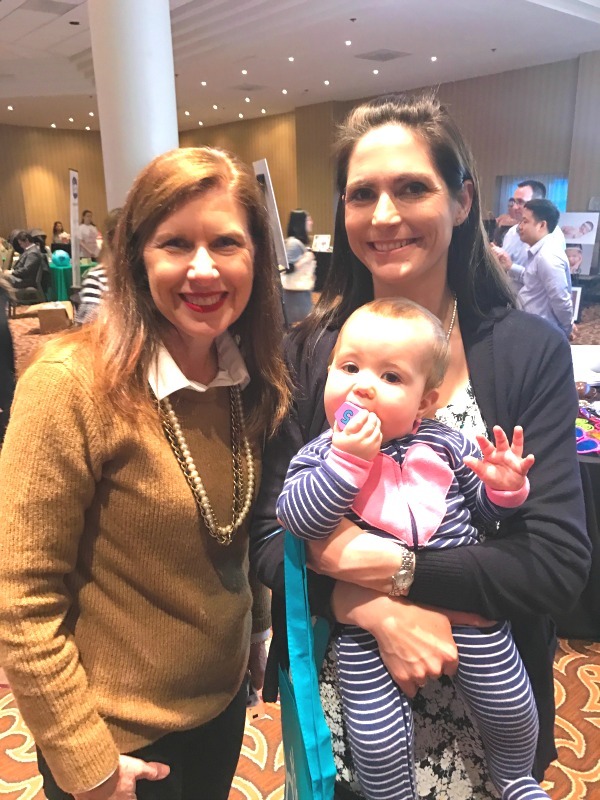 Maria’s new products for expecting and nursing moms are amazing. As someone who was nauseous every single day of my pregnancies, but also anemic, I wish that I had had Premama and Mother Nurture and when I was expecting. Premama is complete prenatal nutrition requirements as required by our doctors, with flavor, that dissolve into water — taking the barf factor out of those prenatal vitamins. No more choking on horse pills, and you can actually get that folic acid and other essential vitamins into your system and to your baby! 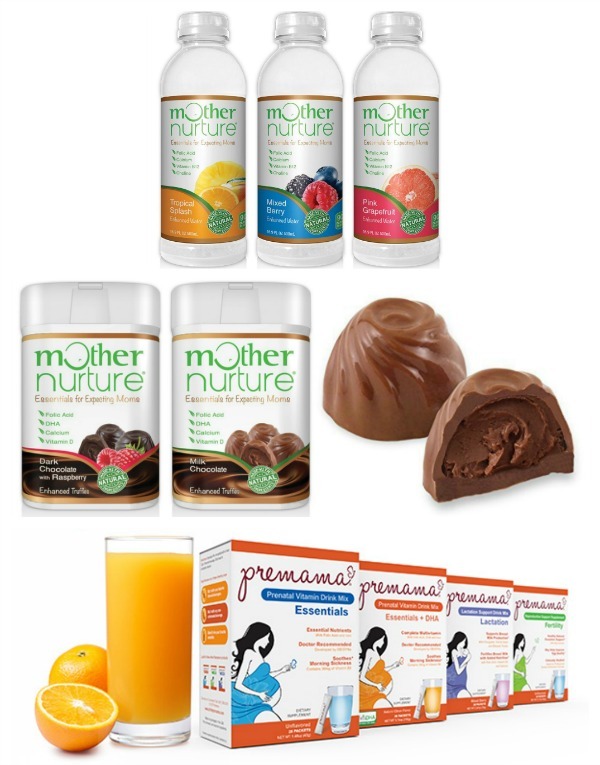 Mother Nurture flavored waters help expectant moms stay hydrated with all natural sweeteners and flavors, and Mother Nurture truffles are nutrition-enhanced chocolate treats with good stuff for mom and baby. Although I am not currently pregnant, I am a regular imbiber of these ingenious products for a healthy life. One find at The Mother of All Baby Showers Luxe that made me want another baby? Bratt Decor. This brand has the most gorgeous nursery furniture and bedding I have ever seen. Check out Bratt Decor’s online offerings, or head to the Bratt Decor Baltimore Closeout Warehouse to snag nursery decor items on deep, crazy-low discount! The warehouse is open to the public 10am-4pm at 5 N Haven Street Baltimore, MD. 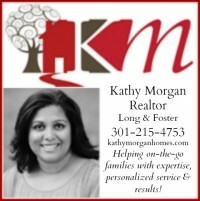 Call 410-327-4600 for details. I could not believe the car seats and strollers I saw at the BabiesRUs booth at The Mother of All Baby Showers. They are so much lighter, safer and more high tech than even five years ago when my youngest Alice was born. 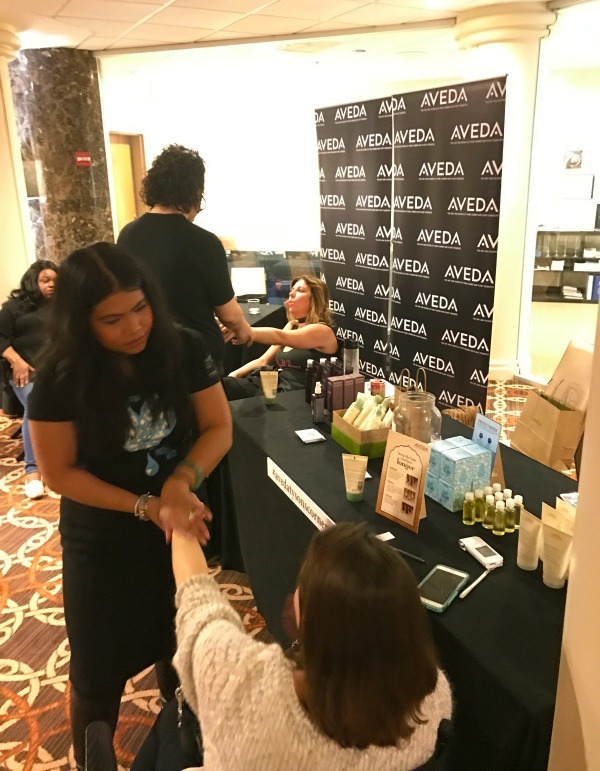 Aveda Tysons Corner was also on hand at the event to give all the moms and moms-to-be in attendance some pampering. Hand and shoulder massages, aromatherapy and custom consultations for wellness and beauty made the night feel like a spa. I love that their products are natural, made from pure plants and flowers…perfect for expectant mothers. Although neither Mary nor I won any of the massively awesome door prizes (car seats! nursery furniture! mega big prizes!) we went home laden with swag and happy from a fabulous night out. You have to come with me to the next Mother of All Baby Showers in the DC area, or look for one coming to a town near you! For new parents this website is very useful. Those products are must for babies. Thanks for informative content.